Marilyn Porter is on the steering committee of the Canadian Boat to Gaza. Sociology Professor Emerita Marilyn Porter recently returned from a trip to Israel, where she was the sole Canadian on a team of 45 people experiencing, firsthand, how the Israeli government is harassing and displacing Palestinian farmers. The farmers live in an area that is supposedly under Palestinian control, yet they’re constantly subject to harassment and displacement by Israeli forces. They’re even required to have permits to move from one village to another, drive on certain roads, farm, etc. The Israeli Wall has made matters worse. 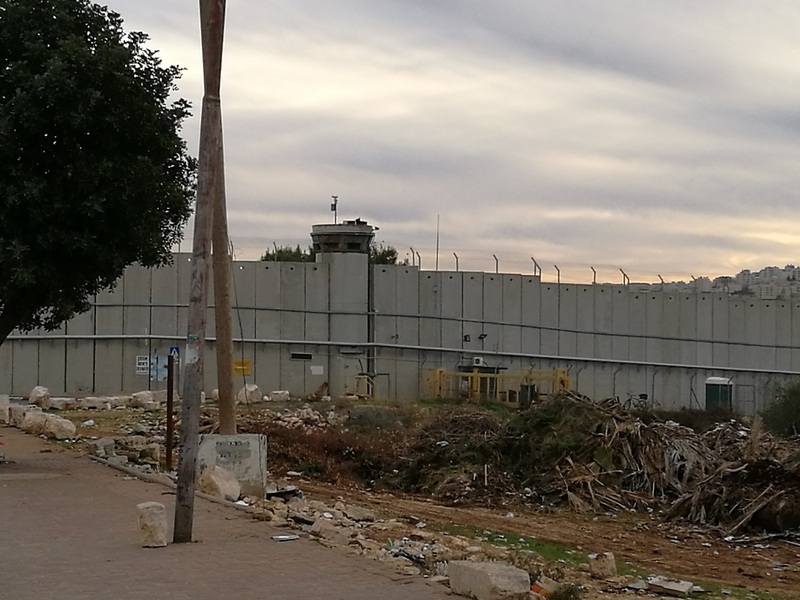 The Wall is over 700 kilometres long, and it isolates thousands of Palestinians, making it difficult for them to engage economically and socially with their community. Porter and her team were there to help families plant olive tree saplings. Olive trees are vital to Palestinian farmers, but these farmers are regularly confronted by the Israeli army, who threaten to (or do) confiscate property. It’s something Porter witnessed firsthand. She says that Palestinian farmers whose land is close to the Wall, or close to illegal Israeli settlements suffer the most. According to the UN, 80% have seen a decrease in their yields since 2015. She has witnessed the grim struggle of Palestinian farmers herself. Israeli settlers uprooted her efforts right before her eyes, destroying the hundreds of olive trees her team planted, a mere day after they were set in soil. “The day before the Israeli settlers uprooted our trees,” she says, “they had stood around in threatening ways, and then summoned the Israeli security forces to drive us off the farmer’s land.” They were heavily armed. The UN documents attacks by settlers on Palestinians, and their land. It is on record that more than half of Palestinians (54%) have suffered physical attacks or attacks on their property last year.